As a business owner, you're constantly hearing about the importance of controlling costs. And really, it should be at the forefront of your mind. But how does a successful businessperson actually do this? 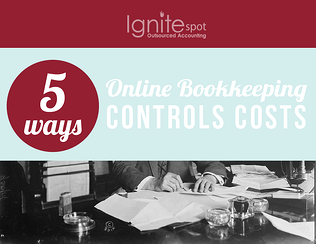 This article examines how online bookkeeping controls costs, and provides actionable steps you can take to reduce your overhead and become more profitable. 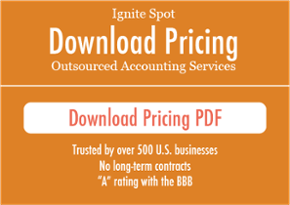 On average, an outsourced accountant costs 40-60% less than an in-house employee. Not only can you save considerably on hourly pay, but eliminate the costs of employee benefits and payroll taxes as well. Also, you don't have to pay for office space or equipment. 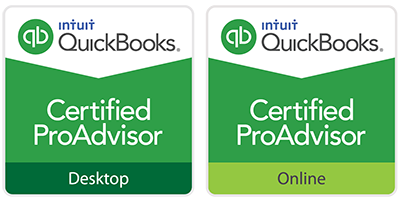 Click here for our full guide to online bookkeeping services. When it comes to your business, knowing your current financial status is key. An online bookkeeper's sole focus is just that: keeping your books. They want to keep your business by providing you with the most up-to-date reports possible. Some business owners have found savvy staff members who can juggle their duties as well as crunching your numbers. But they may not be providing you top-notch bookkeeping expertise. Online bookkeepers specliaze in accurate reporting and can save you from costly mistakes. Lastly, with updated reports, you can make accurate and educated decisions regarding the financial health of your company at a moment's notice. It's amazing how much time can be wasted gathering information, and as a busy entrepreneur, time equals money. With real-time information you: can access your data on any mobile device, are always prepared for investor questions, and save time digging through outdated information. With the mobility of an online bookkeeper, you can reduce travel time back and forth from home to the office for that information you forgot on your desk. It's like having your accountant in your pocket. It not only saves you hassle, but saves you time. And again, time is money. By controlling costs with an online bookkeeping system, you will have extra money to invest or stash away into a rainy day fund.